While iZombie won’t kick off its fourth season until mid-season 2018 on The CW, the show still had a presence at this year’s San Diego Comic-Con. iZombie Radio/DC TV Podcasts participated in the press room for the show this year where Snarky Shawn chatted with the cast and producers at the round tables to get some new details on Season 4, including Rose McIver (Live Moore), Aly Michalka (Peyton Charles), Rahul Kohli (Dr. Ravi Chakrabarti), Robert Buckley (Major Lilywhite), David Andres (Blaine), Malcolm Goodwin (Clive Babineaux) and Diane Ruggiero-Wright (Executive Producer). Friday, July 1, 2016 – DC TV Podcasts, which is a podcast network for multiple high-quality DC Comics TV dedicated podcasts, is expanding with a seventh podcast, that will cross into the Vertigo territory: iZombie Radio, DC TV Podcasts’ 1st Vertigo TV Podcast! 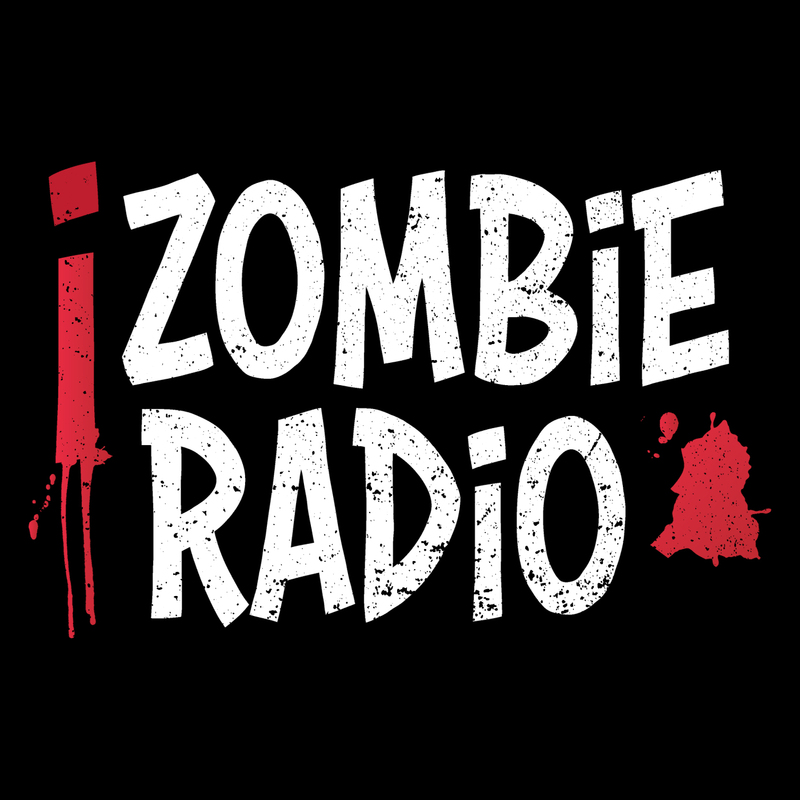 iZombie Radio is a fan podcast devoted to the popular CW series, iZombie, starring Rose McIver as Olivia “Liv” Moore, from the creators of Veronica Mars, Rob Thomas and Diane Ruggiero-Wright. iZombie Radio will be helmed by a quartet of hosts featuring new voices to the DC TV Podcasts Network: Catrina Dennis (Writer of StarWars.com, Inverse and Blastrgrrls) Chris King (Staff Writer at TV Overmind; Contributor to The Marvel Report), Blaise Hopkins (Staff Writer at TV Overmind; Contributor to The Marvel Report) and Shawn Carpenter (Staff Writer at The Marvel Report), all of whom have made names for themselves individually in the world of pop culture, and will now be joining forces to cover the CW’s iZombie. This podcast will begin this summer as San Diego Comic-Con approaches, which iZombie will be taking part of with a panel in Ballroom 20. With the television series being set to return to The CW during mid-season of the 2016-2017 TV Season, iZombie Radio will go through the first two seasons of the show in its Season Zero. The podcast will start out with bi-weekly episodes as Season 3 of iZombie approaches and by then the podcast will shift into a weekly format. On each episode of iZombie Radio, there will be news coverage, reviews/analysis as well as speculation for upcoming episodes. iZombie stars Rose McIver as Olivia “Liv” Moore”, Rahul Kohli as Dr. Ravi Chakrabarti, Robert Buckley as Major Lilywhite, Malcolm J Goodwin as Clive Babineaux, David Anders as Blaine McDonugh and Aly Michalka as Peyton Charles. Developed by Veronica Mars’ Rob Thomas and Diane Ruggiero-Wright, iZombie is based on the Vertigo property of the same name. DC TV Podcasts is a podcast network that features a collection of high-quality and popular podcasts devoted to DC Comics television series, such as The CW’s Arrow, The Flash, Supergirl, DC’s Legends of Tomorrow, FOX’s Gotham, as well as the DC Movies in the DC Extended Universe! Join the hosts of Quiver Podcast, The Flash Podcast, Legends of Gotham, Supergirl Radio, Legends of Tomorrow Podcast and DC Movies Podcast every week for news, commentary and opinions about these comic book shows as well as DC Comics films.